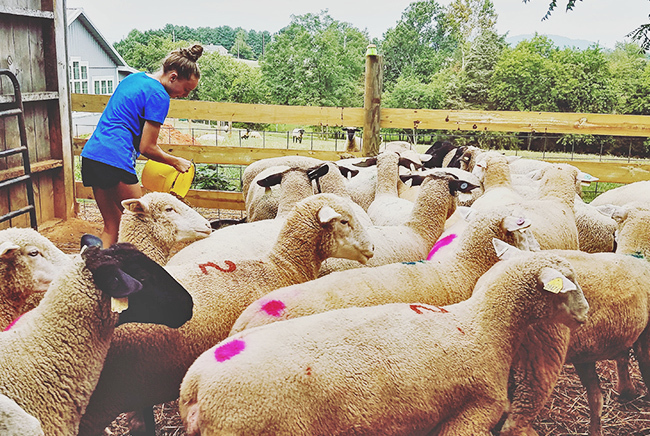 In collaboration with Sun Raised Farms, O2 EMC, and the town of Bedford, our sheep have become environmentally-friendly groundskeepers. 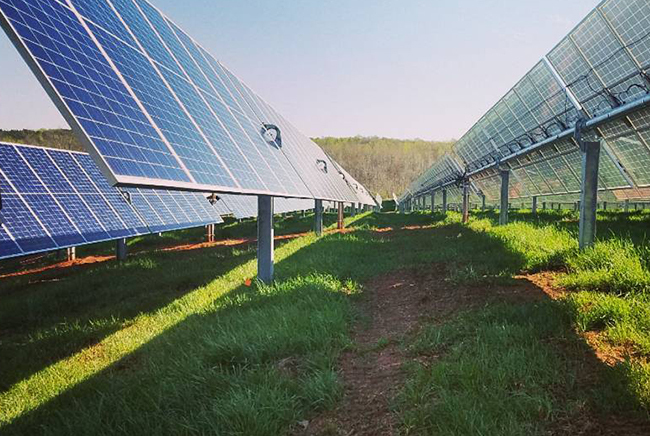 Solar farms are quickly gaining momentum for their efficiency and eco-friendliness. 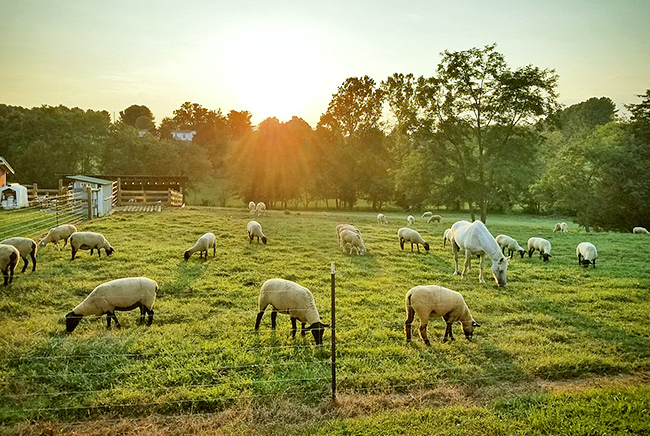 While many use cheap turf or gravel under their arrays, the Town of Bedford opted for a more natural approach. 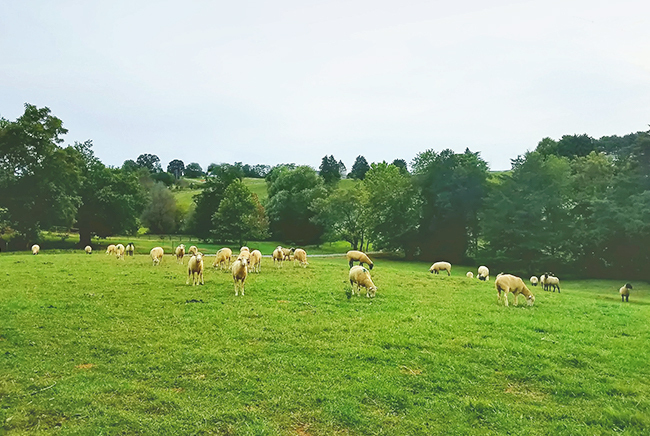 Blue Ridge lambs stay busy keeping the grass maintained one mouthful at a time! 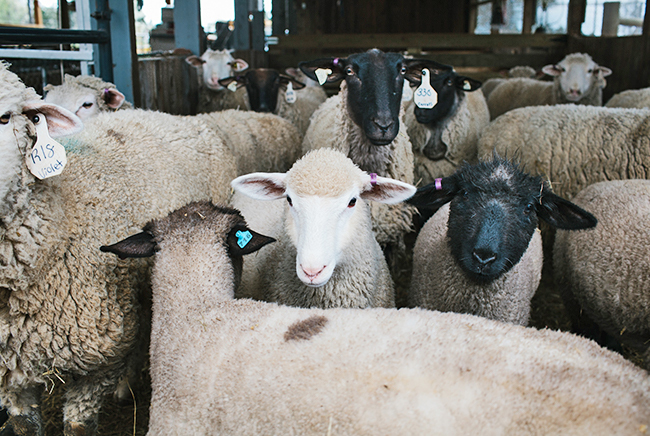 It’s good for the sheep; it’s good for the environment. In turn, the residents of Bedford are powering their homes and businesses with renewable clean energy. 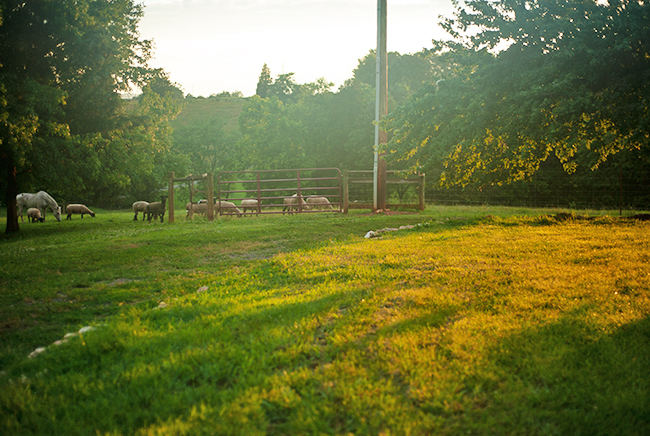 Our sheep and these solar panels are partnering to create sustainable energy, food, and fiber. 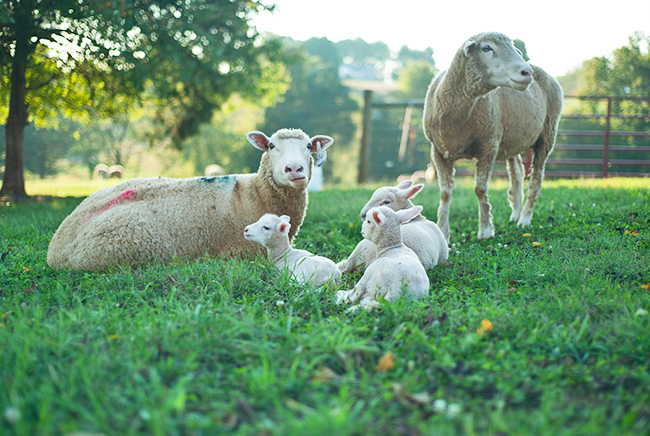 Our goal is to produce happy, healthy lambs on pasture. 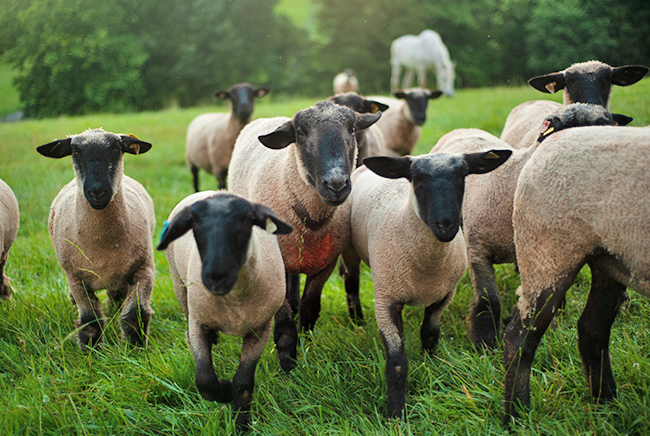 We raise Dorset and Suffolk sheep; some of the oldest breeds from the British Isles. 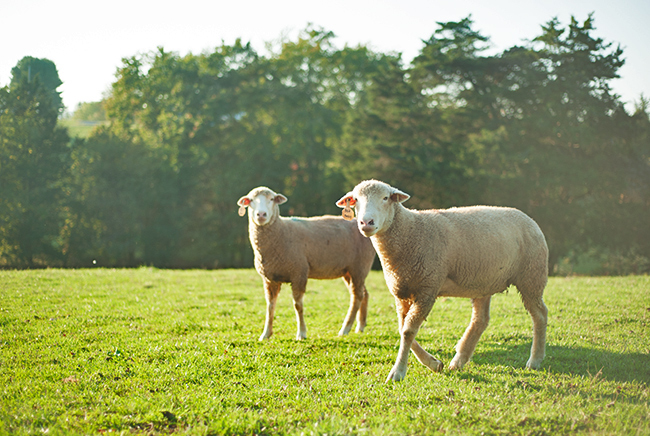 They are a dual purpose breed, known for outstanding meat characteristics and have desirable wool for our needs. 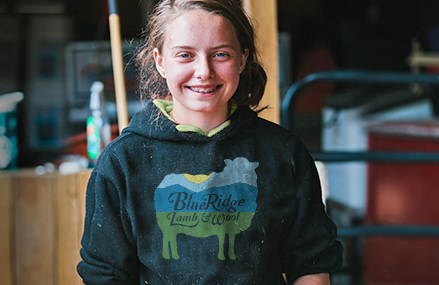 The Blue Ridge Lamb & Wool farm is enrolled in several conservation practices that protect our waterways, improve soil quality, and reduces environmental impact. 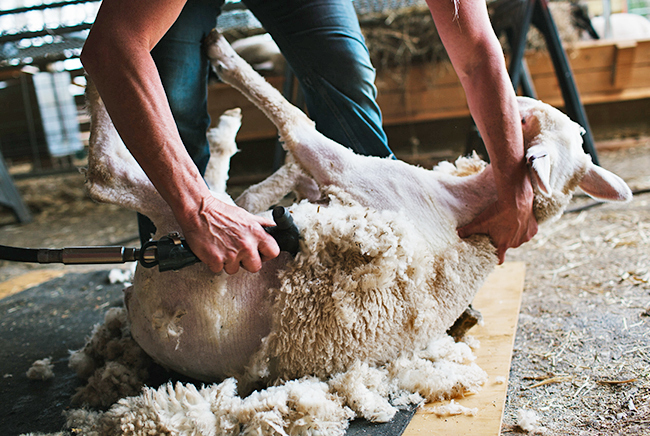 We treat our animals with the utmost respect. 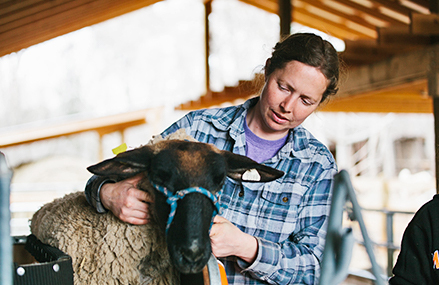 Humane animal treatment and care is our top priority. 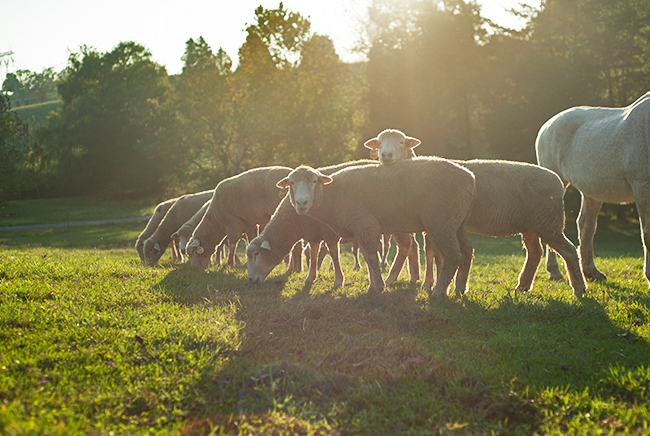 Our sheep remain out in the fields for the majority of the time under sun. 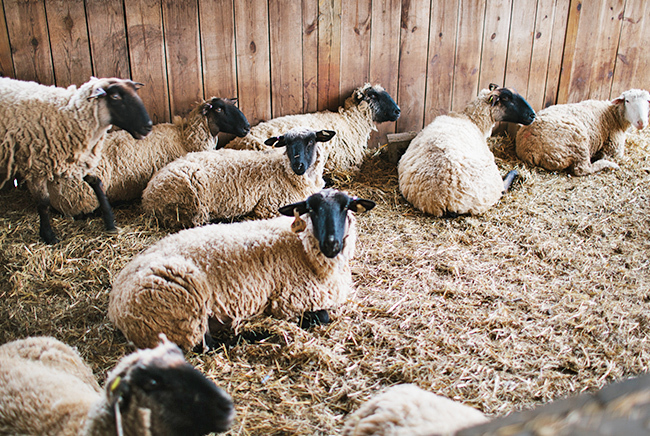 When they aren’t out grazing and frolicking, they have a comfortable barn full of fresh air and sunshine. 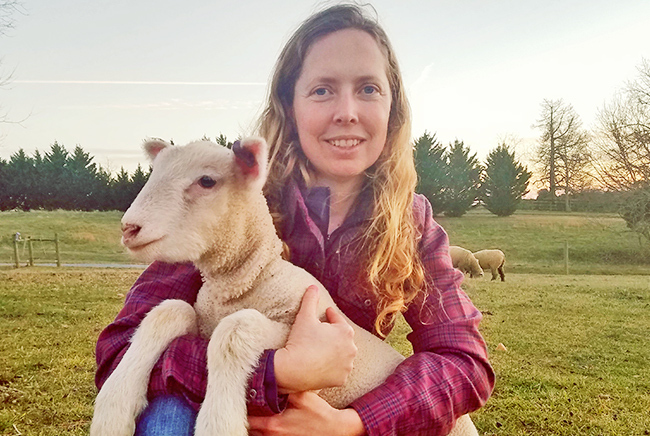 It’s a safe, clean, environment where they can lamb and raise their newborns. 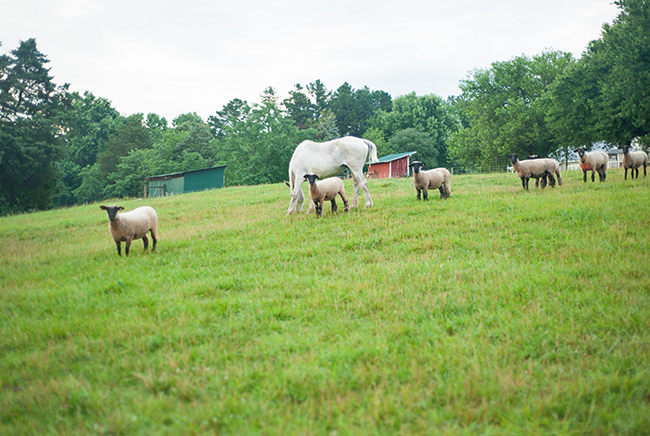 Our sheep are protected from predators by our livestock guardian dogs. 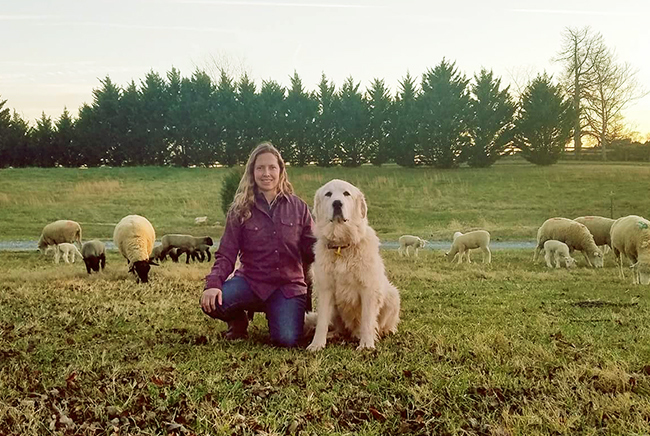 Our canine guardians do an exceptional job of protecting the sheep. 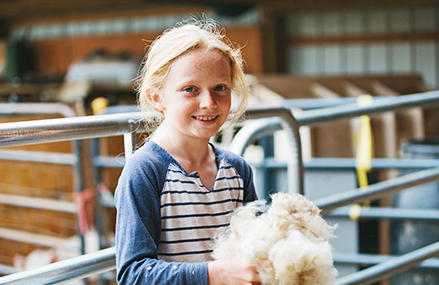 Even though we are a small-scale family farm we use state of the art electronic individual animal identification. 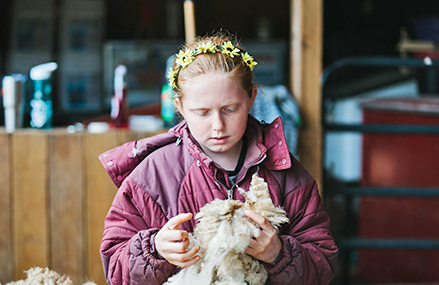 From pasture to plate every detail of the lamb’s care is recorded and monitored. 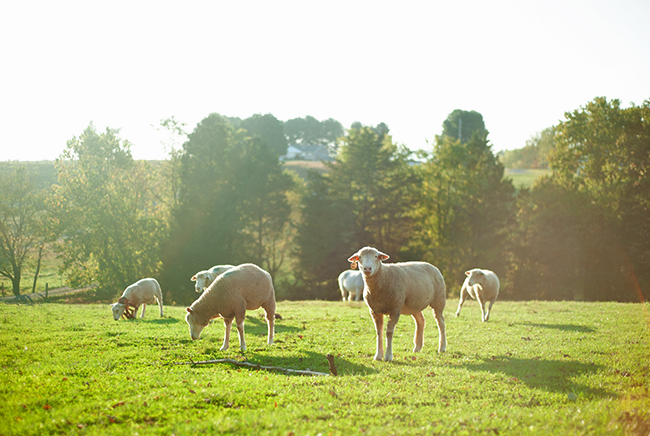 Everything from our labels on our packages, to the hay that the sheep eat in the winter is sourced locally. So your not only supporting us, but you’re supporting many others in your community as well.